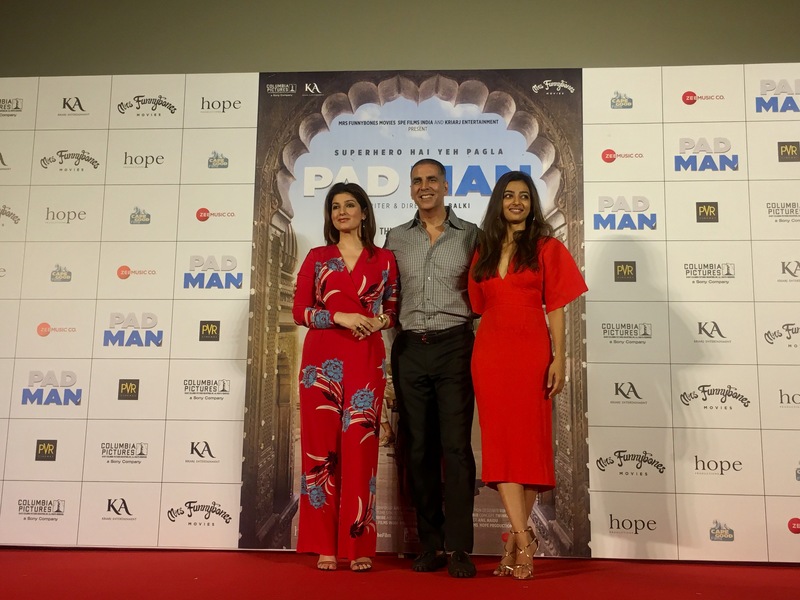 ‘Aaj Se Teri’ from Pad Man Launched at special event! 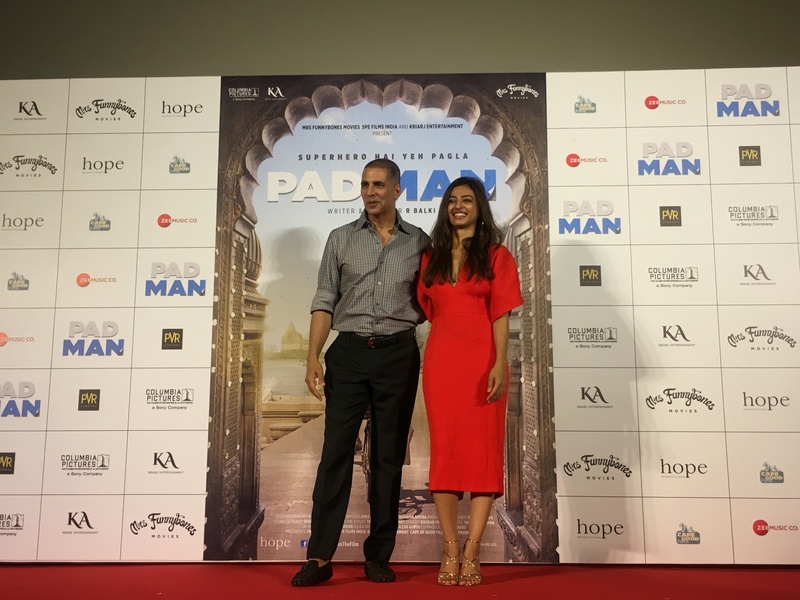 Producers of the family entertainer Pad Man added to the ever-growing anticipation for the international release of the world’s first feature film on menstrual hygiene, as they gathered at an exclusive event in Juhu, Mumbai to share the first song ‘Aaj Se Teri’ to an assembly of journalists. 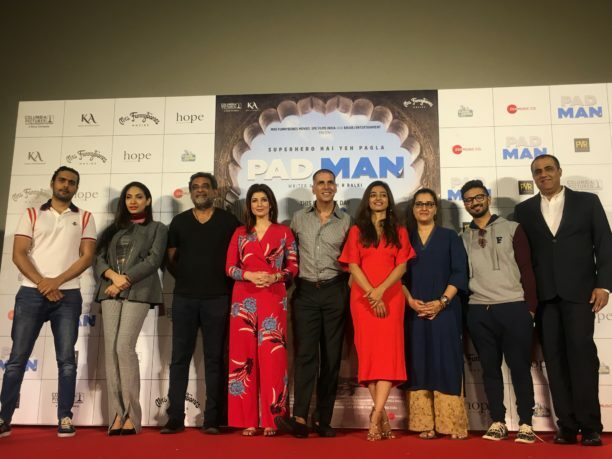 Amidst the colossal response from audiences and critics for the trailer, which garnered over 35mn+ views in just a few days, India’s most idolised star Akshay Kumar, actress Radhika Apte, co-producers Twinkle Khanna, R Balki (also writer and director), KriArj Entertainment, SPE Films India, and music stars Amit Trivedi, Kausar Munir, gathered at the event to reveal the song and the heights the film has already achieved worldwide, even prior to its release. Crooned by the soulful Arijit Singh, penned by Kausar Munir and with music by Amit Trivedi the love song ‘Aaj Se Teri’ is a heart-warming and totally cute number that we certainly love! 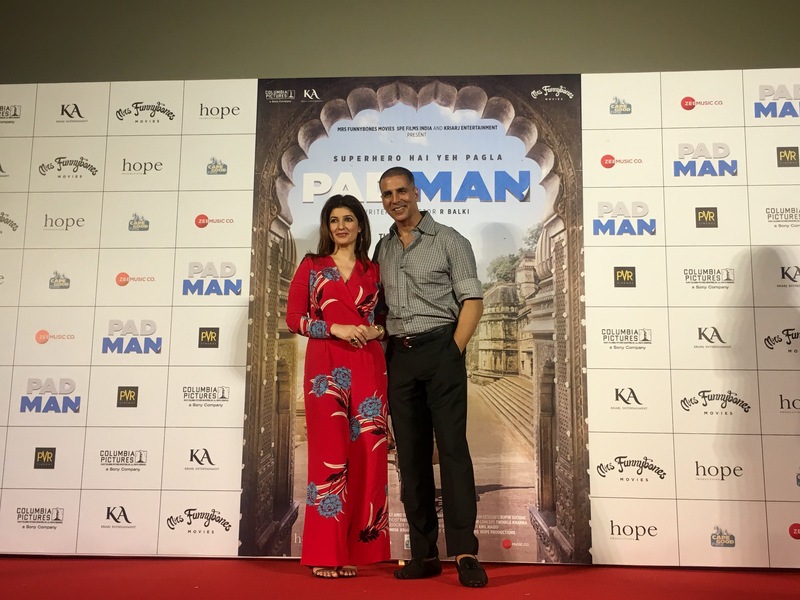 ‘Aaj Se Teri’ epitomises a concoction of sensitivity and innovation, thus coinciding with the core message of a man who is willing to risk it all, including his marriage, to protect, empower and change the life of his wife and millions of other women. It follows Akshay Kumar and Radhika Apte in their romantic journey of passion, excitement and compassion, teasing the sweet chemistry between the lead pair. Drawing on the film’s plot, the first track brings out the pioneering side of Akshay’s character in the film, who is seen using quirky ways to make his wife happy. Playing a man, all women dream of marrying, Akshay Kumar delivers the perfect portrayal of real-life Pad Man Arunachalam Muruganantham of whom always kept his wife’s comfort at heart. 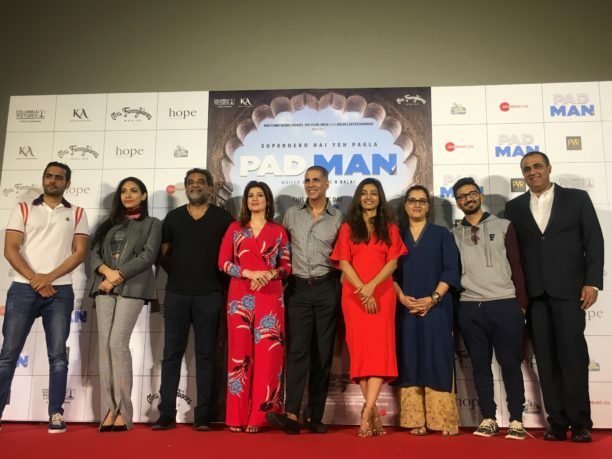 Throughout the song Akshay Kumar is seen labouring for his wife, creating a special seat for her comfort on his bike, constructing an onion cutting machine from a toy to stop her from crying when she cuts them and picking flowers for her hair. It’s these outlandish inventions that gave the Pad Man his title as the crazy superhero, and leaves the audience with a constant smile throughout the song. 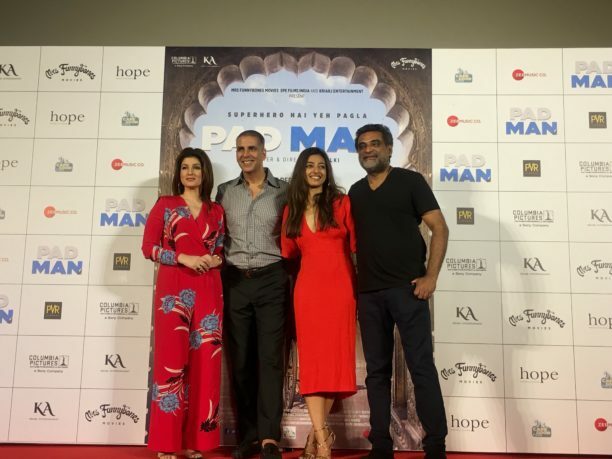 When asked about how the film will penetrate the mainstream audiences in India, co-producer, best-selling author and renowned champion for woman empowerment, Twinkle Khanna said: “We have spoken to various ministries and together we are going to make sure that school girls and principles all have the opportunity to see this film, to help penetrate the message of the film where it needs to be understood.